RE: Certified Quality, Conformity Management-in-Commerce through the application of the "principles of 'blockchain'". In National or International Commerce, Does "Good Quality" Matter to You? Remember the last time you ordered something, convinced by a vendor that the quality of their product or service was good. After receiving the goods or services, you discover the quality was nothing near what you expected and your trust was lost. For example, many consumers feel that the Canadian (and global) finance sector has a similar problem. Studies show that a significant number of Canadians (and global consumers) are dissatisfied with their current experience with their existing banking and finance providers; from customer service to failing to meet customer requirements. Implementing a Registered Quality Management System, built from the ground up, applying seminal "blockchain" principles first discovered by the founder of MQCC, Anoop Bungay, pursuant to development of a "peer to peer electronic finance system" in the early 2000's , solves the problem of poor quality and loss of trust. Registered to National (Canada) & International Standards for Quality Management: "Risk Reduction, Accountability, Transparency and Efficiency through Certified Quality Management". The Money Quality Conformity Control Organization (MQCC™) [incorporated as MortgageQuote Canada Corp.] is the world leader in providing real-time transparent, accountable and efficient, OSFI/OSC(Canada), SEC®/OCC (USA), FCA/PRA (UK)) and Other Regulatory Body (IFAC/IIROC/RECA/FICOM/FSCO/MSC - Canada & International), certifiably statutory-, regulatory- and process- (SRP™) conformity, operational, reporting & audit technology to the banking & finance sector; to help businesses and organizations be more efficient and improve customer satisfaction. In 2006, MQCC™ developed what is today, the world's first internationally recognized, pan-industry, pan-functional energy-efficient, resource-efficient, quantum computing-ready, platform agnostic, bespoke, unified, defense standard, military/law enforcement-grade, turn-key, plug 'n play (PnP), end-to-end (E2E), interoperable, "secure, risk-based meta-operating system". A functional system built in accordance to the MQCC Automated Artificial Algorithmic Intelligent (AAAI™) self-learning systems-standards and pioneering MQCC "principles of 'blockchain'", designed to increase profits, increase cost savings and reduce expenditure through real-time assurance of statutory, regulatory and process conformity of both regulatory (regulator) and regulated (regulatee) organizations, within any industry sector. Patent-pending and proprietary, continually improving, world-class MQCC systems and technology creates measurable levels of efficiency, quality, trust & confidence for the three critical risk management functions of a regulated and non-regulated financial sector company: "Macro" functions: Business (Operations), Enterprise (Conformity) and Governance (Audit); and "Micro" functions: processes. All within a transparent, "blockchain" principles-based, proof-of-work" organization conformity meta-operating system consisting of integrated internal controls for risk management, governance, legal and operational processes. In good company. MQCC™ is the only organization in Canada's finance sector, whose risk based, unified Quality Management System technology is built on Standards that are both: recognized by 163 countries, including the Canadian Federal Government and all finance sector regulators; and registered thereto, by an Accredited Certification Body: "to safeguard consumers and users of [financial] products and services ..."
MQCC: Making the Difficult Easy Since 2006™. Origins in Finance from 2001-2006, to present-day. traditional mortgage and non-mortgage financing from organizations, namely, Banks, Institutional and Regulated financial entities who trade in non-digital regulated financial instruments. 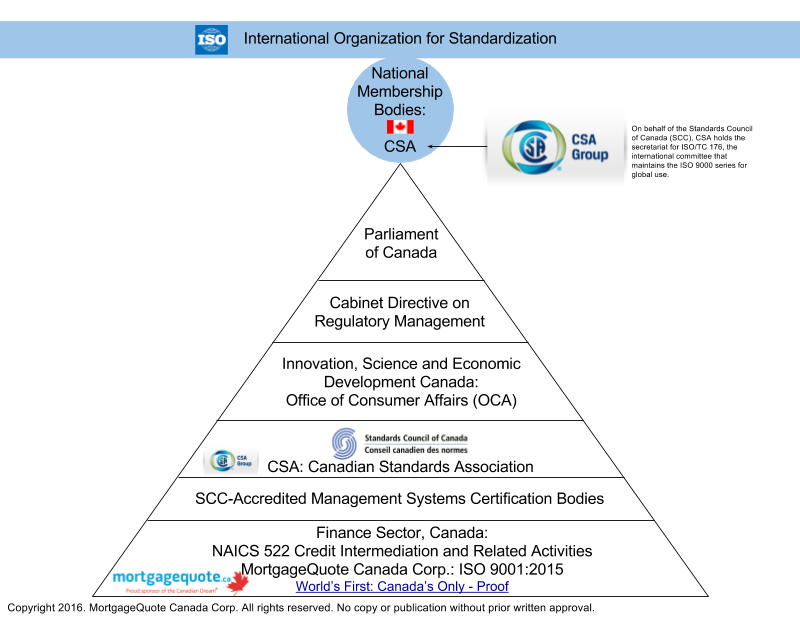 This resulted in the development of a regulatory-recognized, regulator audited, unified Quality Management System (uQMS™) which was designed to enable acontinual statutory and regulatory conformity and to prevent statutory and regulatory nonconformity events, for the following scope: "provision of mortgage banking ("lending" in Canada) and mortgage brokerage services". As improvements were continually discovered, the MQCC uQMS™ evolved into a sub-system within an overarching system of organization conformity and control, MQCC OCOS™ (also known as the brand name: "Archangel™"). At the MQCC™ Finance Division, "We do what we say and say what we do"; this approach "Makes Banking, Finance & Investing Better" Better." MQCC: Safer, Better and More Efficient Organizations & Processes. Incorporated in 2006 and developer of the world's first "Principles of Blockchain"-based, commercialized, regulatory recognized, litigation tested, systems and technology. Continually registered to an ISO 9000 Quality Management System standard since May 9, 2008 to the National and International standard of 119 countries, MQCC is also the word's most trusted "blockchain" company. UNS CEBC United Nations System, Chief Executives Board for Coordination RE: "Unification of Disparate International Organizations" (defined by MQCC). United Nations Development Programme (UNDP); Governance for Sustainable Human Development – A UNDP Policy Document. Departments and agencies are responsible for assessing the effectiveness and appropriateness of regulatory and non-regulatory instruments for achieving public policy objectives. ix. 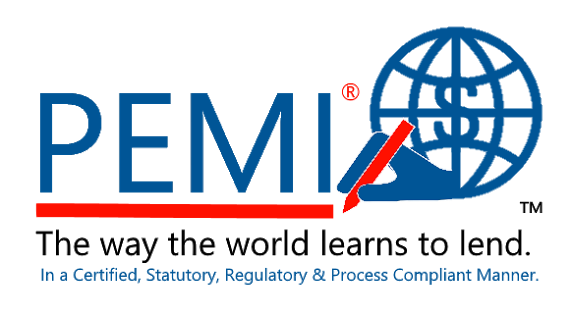 Make use of all or parts of relevant national or international standards, guidelines, and recommendations as a basis for technical regulations and for conformity assessment procedures when they fulfill intended policy objectives. See Canada & Other National Governments (Government and Public Policy) page to learn more. See Canadian Regulators and Public Policy Outreach section of Canada & Other National Governments (Government and Public Policy) page to learn more. means equipment, specimens, scientific collections, computer software, information databases, communications linkages and other intangible property used or to be used primarily for carrying on research, including housing and installations essential for the use and servicing of those things. Standards play an important role in helping improve quality of life and consumer confidence among Canadians. The OCA works with the Standards Council of Canada [SCC] and, at the international level, with the International Organization for Standardization (ISO) Consumer Policy Committee to help ensure the consumer voice is heard in the standards development process. Standards are developed by Canada's standards development organizations (SDO) and submitted to the Standards Council of Canada (SCC) to see if they meet the criteria to become a National Standard of Canada (NSC). 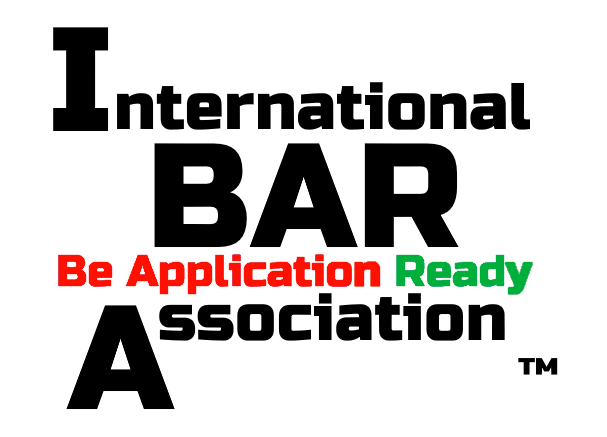 These criteria state the standard must: be developed by consensus of a balanced committee of stakeholders, undergo public scrutiny, be published in both official languages, be consistent with or incorporate existing international and pertinent foreign standards. Also, National Standards must not act as a barrier for trade. On April 18, 2016, the Standards Council of Canada (SCC) has approved ISO 9000, ISO 9001 and ISO 14001 as National Standards of Canada (NSC). ISO 9000 and ISO 9001 standards help businesses of all sizes be more efficient and ensure their products and services meet customer requirements. ISO 14001 provides practical tools to help businesses manage their environmental responsibilities. ISO 9000, ISO 9001 and ISO 14001 were all published as National Standards in Canada by CSA Group [a SDO]. There are very high standards to earn certification to ISO 9001:2015. An organization must volunteer to be audited twice per year by auditors; the MQCC's external auditor is duly accredited by the Standards Council of Canada (SCC). The MQCC™ is no startup. Incorporated as MortgageQuote Canada Corp. in 2006 and continuously registered for certification to an ISO 9001 Quality Management Standard since May 9, 2008 a few years after MQCC™ adopted the ISO 9001 Quality Management Standards as a company Quality Management Systems standard The MQCC is in its 3rd generation of Quality Management System, having improved the MQCC processes from 2007 (ISO 9001:2000), to 2008 (ISO 9001:2008) and 2015 (ISO 9001:2015). The Standards Council of Canada (SCC) is a federal Crown corporation. Its mandate is to promote efficient and effective standardization in Canada. When was the last time you saw a finance sector company with the following logo on it's website? You haven't. The CSA Group publishes the National Standard for Quality Management for the Standards Council of Canada.AllCanadians know the CSA Group logo and they trust CSA Group for: "it's knowledge and expertise encompass standards development; training and advisory solutions; global testing and certification services across key business areas including hazardous location and industrial, plumbing and construction, medical, safety and technology, appliances and gas, alternative energy, lighting and sustainability; as well as consumer product evaluation services." For the first time in Canadian history, a finance sector company, namely the MQCC™, is registered to the National Standard published by CSA Group, for the scope of mortgage banking (lending in Canada) and mortgage brokerage operations. 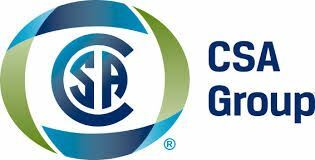 For decades, CSA Group has been the de facto steward of the renowned ISO 9000 series of quality assurance standards. Today, on behalf of the Standards Council of Canada, we hold the secretariat for ISO/TC 176, the international committee that maintains the ISO 9000 series for global use. We [CSA Group] are a standards development organization (SDO) accredited both in Canada and the U.S. This accreditation acknowledges that we comply with a specific set of accreditation criteria. As a result, our standards are recognized around the world for their balance, technical superiority, and ability to meet the needs of industry, regulators, manufacturers and consumers. What's the bottom line on ISO? Whether you are a consumer or a public sector, private sector or non-government entity, in global commercial trade generally, and the finance sector specifically, many "vendor organizations" [grocery stores, hot dog stands, hospitals, banks, government departments and agencies] claim to offer a quality product or service in their websites and marketing material. Since 2008, the Money Quality Conformity Control Organization MQCC™ [a division of MortgageQuote Canada Corp.,] is the only finance, technology and consulting organization of it's kind, able to prove it offers quality through application of the "principles of blockchain". MQCC is able to demonstrate to General Public, Consumers, Customers, Prospective Customers, Industry, Regulators, Regulatees, Investors, Shareholders, Stakeholders, Legislators & Government that MQCC is not just adhering to good practice, the MQCC has developed systems and technology to "prove it". The world's first "blockchain quality management system" was built by MQCC and became certified to ISO 9001:2000 on May 9, 2008. The system is trademarked as MQCC Unified Quality Management System (uQMS™ ) and is designed to assure good practice. Over 12 years of commercialization, litigation testing, system audits by independent auditors and continuous certification to ISO 9001:2015, proves that MQCC systems and technology works. The MQCC "blockchain quality management system" uQMS™ is certified to the International Certified Blockchain Quality Management System (CBQMS™) standard [published by the International Organization for Conformity (IOC) and MQCC] and operates within an overarching system of control designed for complex and critical macro- and micro processes, namely, the MQCC organization conformity operating system (OCOS™). MQCC OCOS™ in turn, is built in accordance to the MQCC Blockchain Conformity Management System (BCMS™) standards. A series of standards that - among other things - define the architecture and tokenization protocols that overlay and integrate the MQCC system with an internal or external sub-system on an pan-functional and pan-industry basis. MQCC OCOS™ underlying structure is built upon "proof-of-work" artificial intelligence (AI) technology [Blockchain Zero One™] - based upon pioneering research, discovery, development and commercialization of the "principles of blockchain", first identified by Mr. Anoop Bungay, Founder of MQCC pursuant to the need to develop a "peer to peer electronic finance system" between 2001 and 2005. 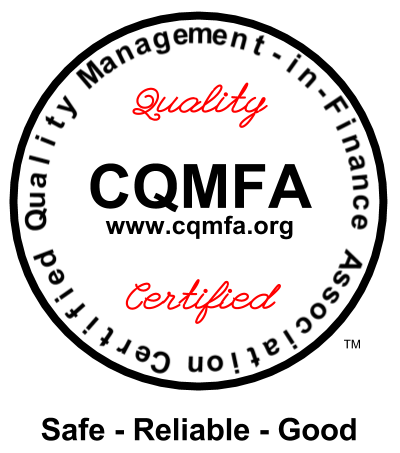 The Quality Management System component of MQCC OCOS™ is certified to meet both the rigorous 'National Standard of Canada' for Quality Management Systems, published by the CSA Group (Canadian Standards Association) and the 'American National Standard' (ANS) for Quality Management Systems published by ANSI (American National Standards Institute). The Standard is recognized and trusted by Canadians, American's and consumers in over 119 countries including UK & AU. As of May 9, 2019 - the intellectual property and underlying suite of MQCC Blockchain™-based systems, sub-systems and technology celebrates over 12 years of continuous registration to ISO 9001:2015 and its predecessor standards. No other finance, technology and consulting sector organization in Canada or the world is able to make this claim. In the world of ever increasing investor and consumer uncertainty, those governments and finance sector companies that are able to certifiably demonstrate that their domestic and industry operations are designed to provide safe, reliable and good products and services, will be pacesetters for the future. Standards help to assure better, safer and more efficient methods and products, and are an essential element of technology, innovation and trade. THIS is what the MQCC™ uses to lend money, invest money and manage money. What does your bank or financial company use? MQCC™ is dedicated to "best practices"; the integrated MQCC™ unified Quality Management System uQMS™ (aka "MQCC Blockchain QMS™) allows us to manage all aspects of every transaction and meet our commitments to clients in a disciplined and professional manner. With MQCC™, you get to Trust the Process, not the Person™. Is your bank or financial institution able to say that ? If not, why not? What are the implications to stakeholders (consumers, investors, regulators) who do not insist on this quality management level of performance? The MQCC™ suggests the following: do not become a customer, investor-shareholder, officer, director or stakeholder in a credit intermediation business unless the management and directors are able to demonstrate that the credit department (lending) has implemented an effective, certifiable quality management system (risk management system). In an industry based upon obligations, both to the regulatory bodies and general public, you owe it to yourself. Ask your Current Financial Services Provider: Why aren't you ISO 9001:2015 Registered? Why can't - or won't - other financial sector companies who trade in mortgages, loans, investments or related products be registered to a Quality Management Standard in order to protect their shareholders, customers and stakeholders? "What has your company done to make your financial products and services safe, reliable and of good quality?" Quality Starts at the Top for Organizations: see Top Management Leadership & Commitment: Quality Starts at the Top section in our registered users' section (Register with MQCC™ to learn more). From an investor point of view; incorporating in 2006, history proves that MQCC compounded annual growth rate of Annual Percentage Rate (APR), since 2009 - wholly 2 years after certification to an ISO 9000 family of Quality Management System standard is over 34%. Indeed, average nominal face rates range from 8% , 12%, 15%, 18% and more, with monthly payments paid to you. Further, in matters of Private Equity Mortgage (PEM®) brand of direct lending investment products and services, when it comes to an investor's principal investment, the worse does not "lose money, they gain real estate". Further; invest some of your surplus, accumulated wealth in mortgages and generate better annual yields - with far less risk - than the market. As of September 30. 2015; over 10 years, S&P 500 has a NET TOTAL RETURN of 6.12%. Credit Suisse says between 3-6% on average, per country, over 100 years. See attached Report (Research Institute). "Given that MQCC™ is certified to the National Standard of Canada for Quality Management, the empirical studies that form the basis of our technology and prove the levels of cost savings, revenue increase and profit increase for a finance sector organization, cannot be overlooked." "Where Quality Lives" is a trademark of MQCC™.